I got this tattoo to represent the many years of my inner self opening and my ego self diminishing. 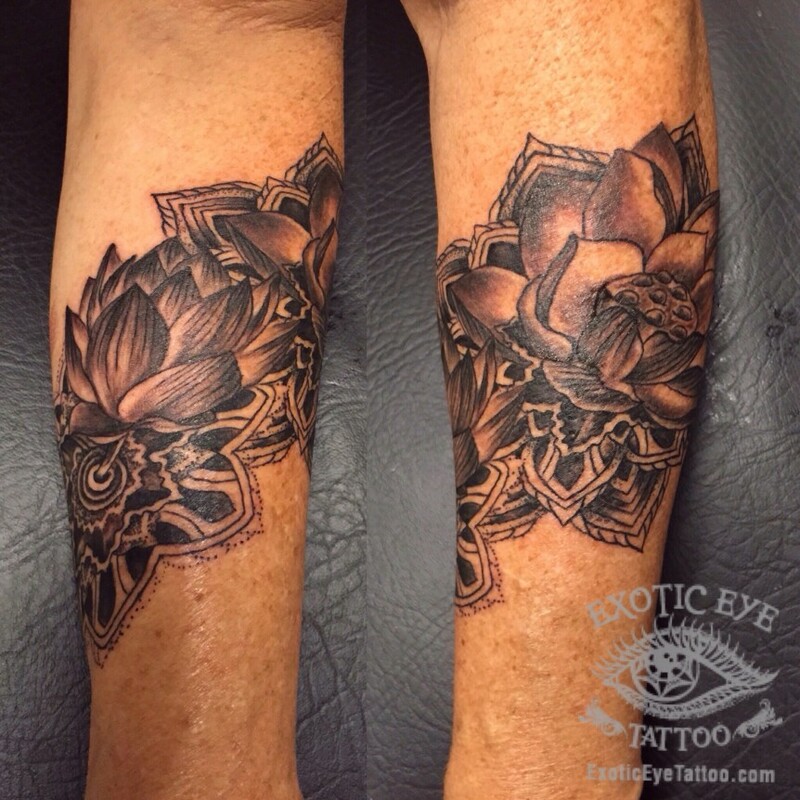 it consists of a Lotus bud, a partially open Lotus blossom and a fully expanded Lotus blossom. Beneath each blossom is a reflection shadow, from where the blossoms spring out of, that has a mandala/sacred design within it. I am super grateful & happy with Rachel G and the way she worked on my skin, Rachel has a great hand. And what she came up with as far as designing the piece with my sending her photos, us talking, and her intuiting what I wanted was just……perfect. I am one REALLY HAPPY customer! And I will proudly tell folks who ask, Rachel G Of Exotic Eye Tattoo in Wailuku and Alaska!! !